Roma have decided to wait until the summer to discuss extending the contract of Arsenal linked attacking midfielder Nicolo Zaniolo. The 19-year-old joined Roma as part of the deal that saw Inter sign Radja Nainggolan last summer. The youngster has been a revelation in Serie A this season and his performances have catapulted him to become one of the most sought after young players in Europe. Arsenal have been linked with an interest in Zaniolo and his goal against AC Milan at the weekend further increased the noise surrounding his future at Roma. Roma were said to be keen to meet his entourage next week to discuss a new deal, but according to Sky Italia, the talks have been postponed until the summer. The Giallorossi have been in touch with his family and both have reached an agreement to wait until the end of the season to discuss a new contract. 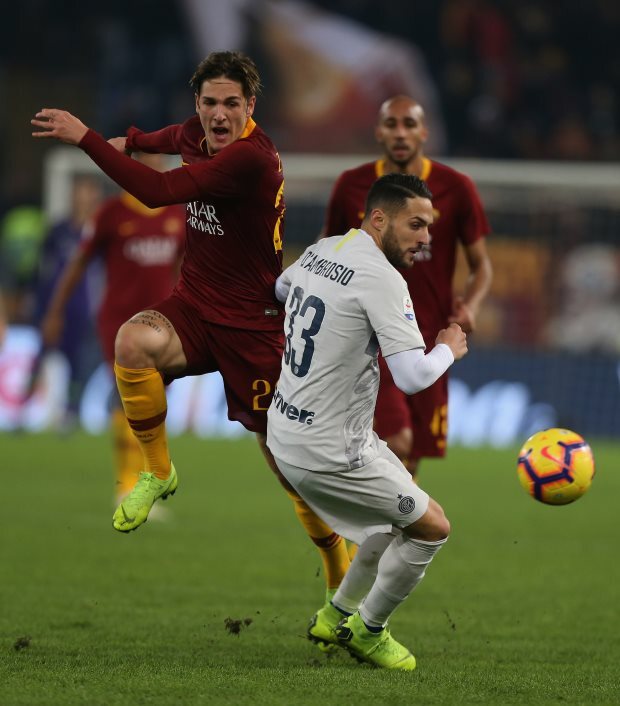 The player’s family and Roma want Zaniolo to focus on matters on the pitch and if he continues to perform, the club are expected to offer him a more lucrative contract in the summer. Roma are confident of holding on to him and are calm about the situation at the moment.